WASHINGTON — The U.S. Senate overwhelmingly confirmed Elaine Chao, President Trump’s choice for secretary of transportation, by a vote of 93 to 6 on Tuesday. Unlike some of Trump’s other appointees, Chao did not face tough questioning during her appearance before the Senate Committee on Commerce, Science and Transportation, which voted unanimously last week in favor of her nomination. Most senators are familiar with her as President George W. Bush’s secretary of labor and the wife of Senate Majority Leader Mitch McConnell of Kentucky. The Department of Transportation includes the Federal Aviation Administration. During her confirmation hearing, Chao was asked about such issues as privatizing air traffic control jobs and foreign airlines’ push to get into the U.S. market, but declined to take positions. 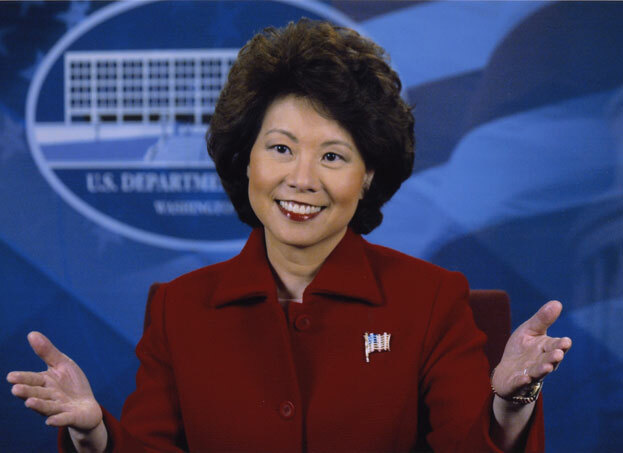 AAA President and CEO Marshall Doney said in a statement, “I commend the Senate for moving swiftly to confirm Elaine Chao as the nation’s 18th U.S. secretary of transportation. Ms. Chao’s commitment to public service is commendable and her previous service at U.S. DOT will serve her well as she advances the department’s goals to enhance the safety, efficiency and accessibility of the nation’s transportation system. Chao is one of the few women or people of color in Trump’s Cabinet so far. Former South Carolina Gov. Nikki Haley, who is of Indian heritage, was confirmed as U.S. ambassador to the United Nations on Jan. 24 by a vote of 96 to 4. Despite her lack of foreign policy experience, she impressed members of both parties on the Senate Foreign Relations Committee, which approved her nomination on a voice vote. Chao, who was also deputy secretary of transportation and director of the Peace Corps under President George H.W. Bush, became the first Asian American woman to serve at the Cabinet level in 2001 and continued as labor secretary until 2009. Other Asian American members of the Cabinet were Norman Mineta, commerce secretary under President Bill Clinton and transportation secretary under George W. Bush; Eric Shinseki (veterans affairs), Steven Chu (energy) and Gary Locke (commerce), all of whom served under President Obama. Locke was also U.S. ambassador to China. Sen. Bill Nelson (D-Fla.), the ranking Democrat on the transportation committee, said that he wanted to know if Chao agreed with Trump’s executive orders on immigration, which have caused chaos at the nation’s airports. “What I found out in the conversation was the nominee to be secretary of transportation had not been consulted by the White House, not in advance, not during, not after the implementation,” Nelson told The Washington Post. The six senators who voted against Chao were Kristen Gillibrand and Chuck Schumer (both D-N.Y.), Jeff Merkley (D-Ore.), former presidential candidate Bernie Sanders (I-Vt.), Elizabeth Warren (D-Mass. ), and Cory Booker (D-N.J.).